Magistrate negates halt on Mwilu’s prosecution – Kenyatta University TV (KUTV). All Rights Reserved. 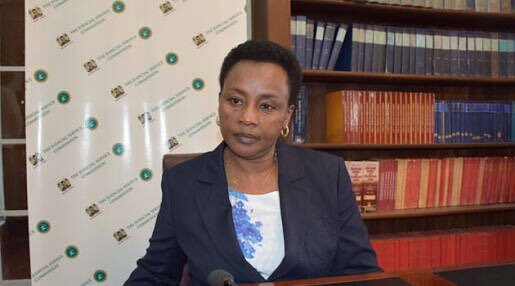 The Anti-Corruption Court has declined to stop the prosecution case against the Deputy Chief Justice Philomena Mwilu as directed by the High Court. Chief Magistrate of the Anti-Corruption Court Lawrence Mugambi said the High Court must clarify the orders to suspend her case until October 9, 2018. He thereby adjourned the session until Friday to give the High Court time to correct the order and make it specific. Magistrate Mugambi issued the directive after the Secretary of Public Prosecutions Dorcas Oduor shot up on a point of objection saying order issued by Justice Mwita is for a different case. The order obtained by Mwilu is supposed to stop criminal case 292 of 2018 but the case number for the DCJ before the Anti-Corruption Court is 38 of 2018. “Court orders must be specific and should never give room for interpretation; I agree with the State that orders by the High Court do not apply to this matter. In the meantime the accused persons remain out on the same bond terms granted yesterday,” he ruled. High Court Judge Chacha Mwita had suspended the charges against the Deputy Chief Justice after her lawyers filed a petition seeking to block her prosecution in the Ksh12m graft case. Mwilu’s lawyers are accused DPP Noordin Haji and DCI George Kinoti of using a criminal process to maliciously remove her from office. The defense Lawyers led by James Orengo, Mwilu’s legal team told the Anti-Corruption Court that the offences preferred against the DCJ purely relate to a commercial dispute of which a criminal court has no jurisdiction.